Learn how to make your own custom stamps in minutes with the Silhouette Mint! I will walk you through all the steps of making your first stamp with your Silhouette Mint stamp making machine in this video tutorial. It is so easy you will be stamping in no time! This post may contain affiliate links, which help to support this site at no extra cost to you. 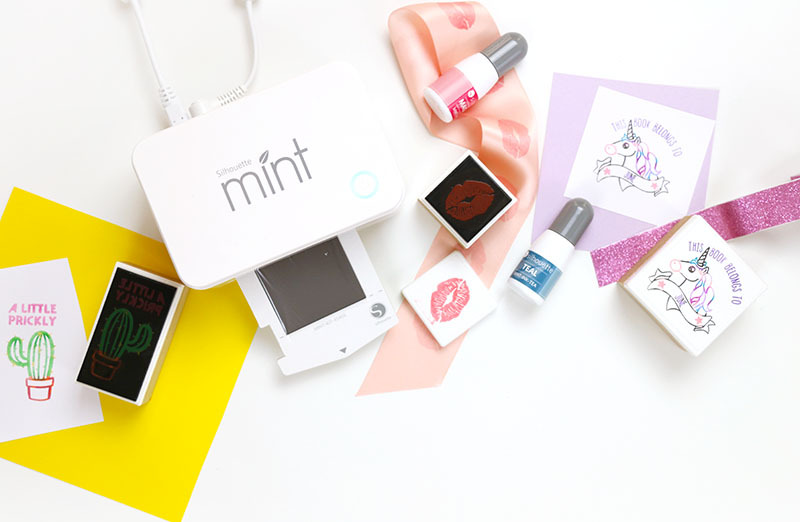 I am really excited to share one of my favorite new crafting toys with you all today – the Silhouette Mint! 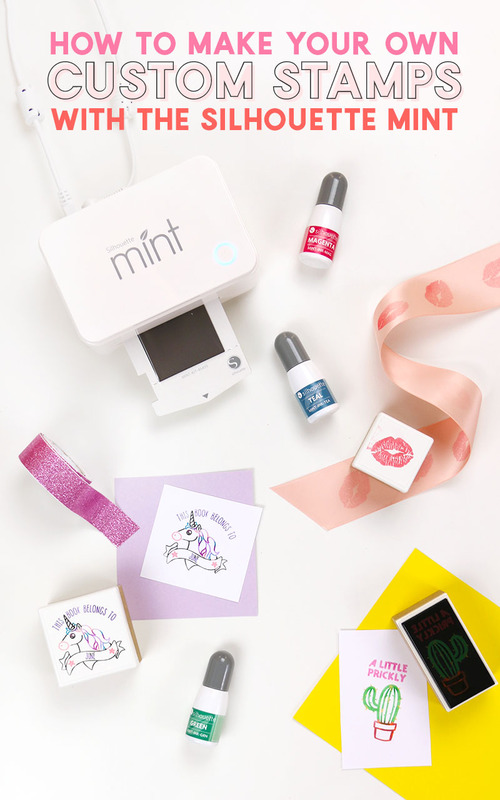 This awesome little crafting machine allows you to make your own custom stamps in just minutes! I love how my stamps turned out, and I have so many ideas for how to put this little machine to work. Now, I am just a little bit behind the times on this one because this machine has been on the market for a year or two now, but since I just got one recently, I couldn’t wait to share my excitement for this stamp maker with you all! It is really so easy to make your own stamps with the Silhouette Mint. I have walked you through all of the steps in the video below, but if you have any questions, please don’t hesitate to ask in the comments! If you don’t see the video below, you can watch it on my youtube channel HERE. Silhouette America – You can get the Mint and all supplies directly from Silhouette America. Use the code 10OFF to always get 10% off regular price items. Silhouette sometimes has amazing Mint bundles, which I think is the best way to get a Mint. Sign up for my newsletter to stay up to date with any current deals. UPDATE: If you want to see me make a stamp in real time, you can check out the stamp making facebook live I did right HERE.